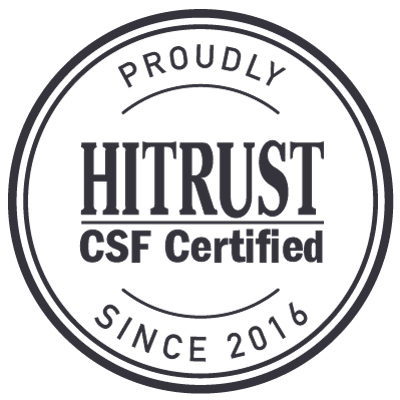 “Our strong sales pipeline attests to the growing recognition that hospitals and physician practices need to provide doctors, nurses and other clinicians with a HIPAA-compliant alternative to unsecured texting,” stated Brad Brooks, co-founder of TigerText. 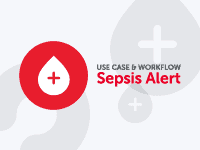 “No it is not acceptable for physicians or licensed independent practitioners (LIPs) to text orders for patients to the hospital or other healthcare setting. This method provides no ability to verify the identity of the person sending the text and there is no way to keep the original message as validation of what is entered into the medical record,” the comment reads. TigerText also offers a free consumer chat app for iPhones that lets users send messages to each other that “disappear” once they are read. Time Magazine called the app “stupidity insurance” while others said it was the perfect app for cheating spouses. TigerText added two of its new investors to its board: John Friedman, Managing Partner of Easton Capital, and Somu Subramaniam, Managing Partner of NSV. 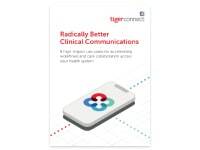 SANTA MONICA, Calif., Feb 02, 2012 (BUSINESS WIRE) — TigerText Inc., the leading provider of secure mobile messaging for healthcare enterprises, has completed a second round of funding of $8.2 million, bringing the company’s total backing to more than $10 million. The Series A investment is led by Easton Capital and New Science Ventures to accelerate development of TigerText Pro for Business, its HIPAA-compliant, easy-to-use messaging platform. Doctors, nurses and other clinicians in hospital and clinic settings are using standard text messaging because they need to communicate rapidly, but those systems don’t safeguard the privacy of protected health information. TigerText offers the same ease of use and rapid response by providing a private network controlled by the enterprise in compliance with patient privacy regulations. Already, more than 20 healthcare organizations are enabling their clinicians to communicate both more effectively and more securely with TigerText’s private mobile messaging network, which works on all the major mobile platforms (Apple, Android, and BlackBerry) and on computers. As part of their investment, John Friedman, Managing Partner of Easton Capital, and Somu Subramaniam, Managing Partner of NSV, have joined the board of TigerText, Inc.
Healthcare organizations recognize the dangers, but largely haven’t acted on them. In a recent study, the Ponemon Institute found that 81% of surveyed healthcare organizations used mobile devices to collect, store or transmit protected health information — yet half of these organizations admitted that they do nothing to protect the data on these devices and fewer than a quarter use encryption. TigerText previously closed $2.2 million of seed financing in 2010. TigerText allows hospitals and physician groups to create their own private, HIPAA-compliant mobile messaging network for physicians, nurses and administrators. This controlled platform replaces the unsecured text messaging that leaves protected health information at risk. TigerText gives health care providers ultimate control over the messages they and their employees send, with features such as: Self-Deleting Messages (both on sender and receiver handsets), Message Recall and Forward Lock. TigerText works on all smartphone platforms and also has a desktop web interface. 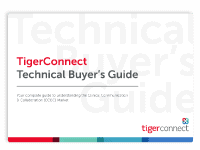 For more information, visit https://tigerconnect.wpengine.com/ .